﻿ Best Price on Diuwak in Dominical + Reviews! Diuwak is located 164 feet from Dominical Beach, and offers an outdoor pool, free Wi-Fi and free breakfast. Guests can spot exotic birds, mammals, reptiles and plants in the surrounding mangroves. 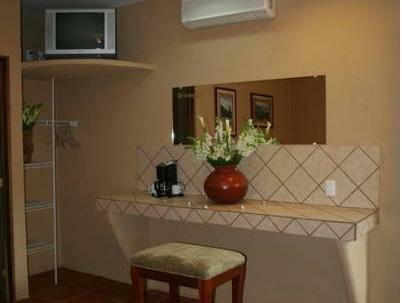 The simple rooms are air conditioned and feature a private bathroom with free toiletries. Some rooms also include a mini-bar and a coffee machine. The on-site restaurant serves Italian and Peruvian-style meals. The Marino Ballena National Park is 9.3 mi from Diuwak, while Nauyaca Waterfalls are 6.2 mi away. San Jose International Airport can be reached in 4 hours by car.